Thailand is expecting “some progress” towards finalisation of the long-delayed Regional Comprehensive Economic Partnership (RCEP) before July as a ministerial-level meeting is likely soon to address many of the pending issues. “We are trying to convince everybody to be flexible. On the ASEAN side, we did that already,” Chotima Iemsawasdikul, Director, Bureau of ASEAN Economic Community, Department of Trade Negotiations of Thailand government, said. Thailand is expecting “some progress” towards finalisation of the long-delayed Regional Comprehensive Economic Partnership (RCEP) before July as a ministerial-level meeting is likely soon to address many of the pending issues. The RCEP is a proposed free-trade agreement involving the 10 member countries of ASEAN and its six other nations including India, China, Japan, South Korea, Australia and New Zealand. India has been cautious on moving ahead with the RCEP as it is not getting adequate market access in the case of services, while agreeing for movement of free trade. “We may not overcome all the obstacles but we may see some progress before July. If there is some progress, we may see before July…because we may have another ministerial meeting soon,” said Chotima Iemsawasdikul, Director, Bureau of ASEAN Economic Community, Department of Trade Negotiations of Thailand government. She was responding to a query from The Indian Express on how ASEAN and other country negotiators plan to address India’s concerns. Negotiations for the RCEP pact has been going on since 2012 but these have failed to address India’s calls for greater market access in services, especially related to allowing its professionals to undertake short-term work in member countries. “We are trying to convince everybody to be flexible. On the ASEAN side, we did that already. But since this (RCEP) is 16 country (pact), each country has their own requirements in some specific issues. So it’s hard to say but we are trying very hard. We are trying to conclude as much as possible this year because we know that missed the deadlines many times already…on the official side we are trying to do everything. For example, we have had many meetings already since the beginning of this year, we also discussed both as a group and as bilateral with each other. I think we will see more (progress) before July, may be we may have some more progress. We are trying to make progress before July,” she said. 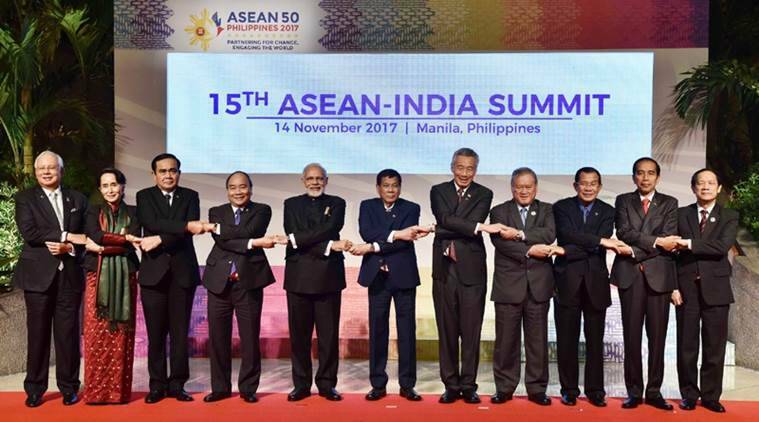 The ASEAN members are coaxing India to commit to zero tariffs on more than 90 per cent of items for all members of the proposed RCEP, but are so far not forthcoming with any significant offers related to movement of workers and professionals. The RCEP aims to be the largest free trade bloc globally covering about 30 per cent of the world Gross Domestic Product. In its report on trade with ASEAN released in December, 2017, the Parliamentary Standing Committee on Commerce found that these nations have used professional qualification, training and other requirements including professional standards and other criteria as barriers for movement of accounting, IT and other services professionals from India. The RCEP negotiations encompass trade in goods and services, investment, economic and technical cooperation, intellectual property, competition, e-commerce, small and medium enterprises and dispute settlement. Thailand will next year take over chairmanship of ASEAN, comprising 10 nations Brunei Darussalam, Cambodia, Indonesia, Lao PDR, Malaysia, Myanmar, the Philippines, Singapore, Thailand and Vietnam.